thalo is an inspirational resource that recognizes creative people who inspire others through their art. Our focus is to provide a platform for creative people to stay inspired, gain access to information, showcase their work, and explore career opportunities for all of the arts: from fine arts to performing arts, applied arts to design and everything in between. thaloConnect, a creative social network that contains live streams of inspiration and ideas posted by creative people. thalo provides original content via an article section, and a video section (thaloTV). thalo also features the Max Grumbacher Gallery where artists are able to showcase and sell their original artwork online, as well as provide interested parties with fine art reproductions and archival poster prints of their artwork--a printing service which is provided by Grumbacher®. Students and artists can also use the site to participate in our contests section, which allows them to submit their artwork and compete with artists from across the country. 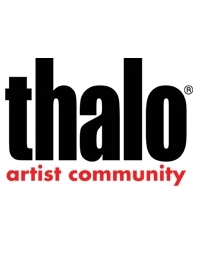 thalo also provides a jobs section, which contains a diversified portfolio of career opportunities for creative people as well as a posting site for artists to let employers know that they are seeking employment. thalo is a creative resource initiated by Grumbacher, which is a brand owned by Chartpak, Inc., a creative products company. Chartpak, located in Leeds, Massachusetts with its corporate office in Melville, New York, is a leading provider of art materials and educational services, which sells products under various brands, such as: Grumbacher®, for artist paints, mediums and brushes; Koh-I-Noor®, for drawing and sketching supplies; Higgins®, for drawing and airbrush inks; and Clearprint®, for art and engineering papers and now; thalo®, an online art publication. Chartpak also is the North American distributor for the Pelikan® brand, for fine writing instruments and art supplies and Schmincke® for super-premium oil, acrylic and watercolor paints.